Species Pelargonium. Intense scarlet flowers with reflexed top petals. April-Oct. Very soft downy lobed silvery green leaves that are densely packed together. Thick sometimes brittle stems on older plants. Ht. 35cm. Sp. 20cm. Ligularia group. Documented since early 1700’s. 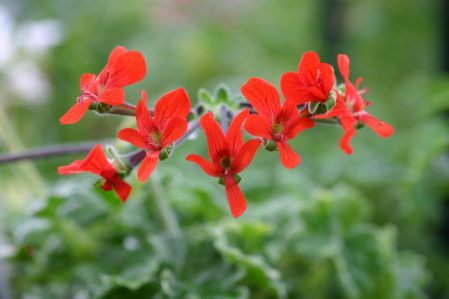 One of the first Pelargoniums to reach Holland from South Africa and later to Italy and England. 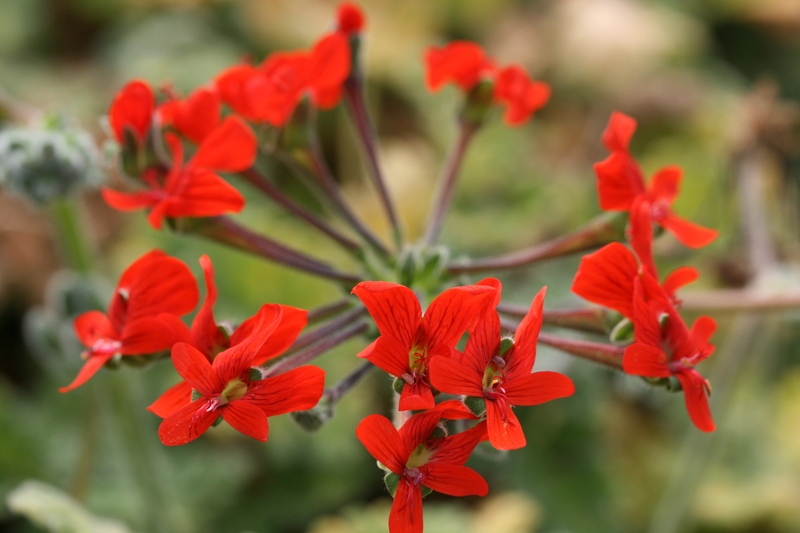 One of a very few species with the ability to hybridise within other groups and a significant plant in the breeding of Pelargoniums over the centuries. Direct parent of P. x ardens and P. Scarlet Unique.